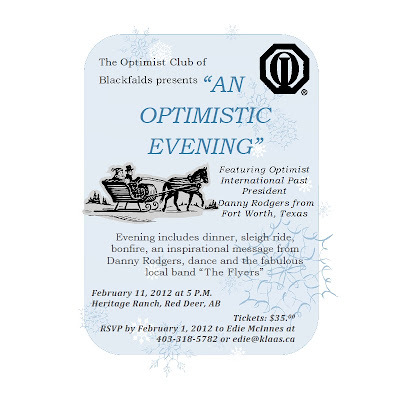 The Optimist Club of Blackfalds has the pleasure of a visit from OPTIMIST INTERNATIONAL IMMEDIATE PAST PRESIDENT, DANNY RODGERS! We are throwing a party in his favor and we would love for you and your club members to attend! He is giving a speech to inspire and rejuvenate our members. Please see the attached invite and let me know ASAP if you would like tickets. 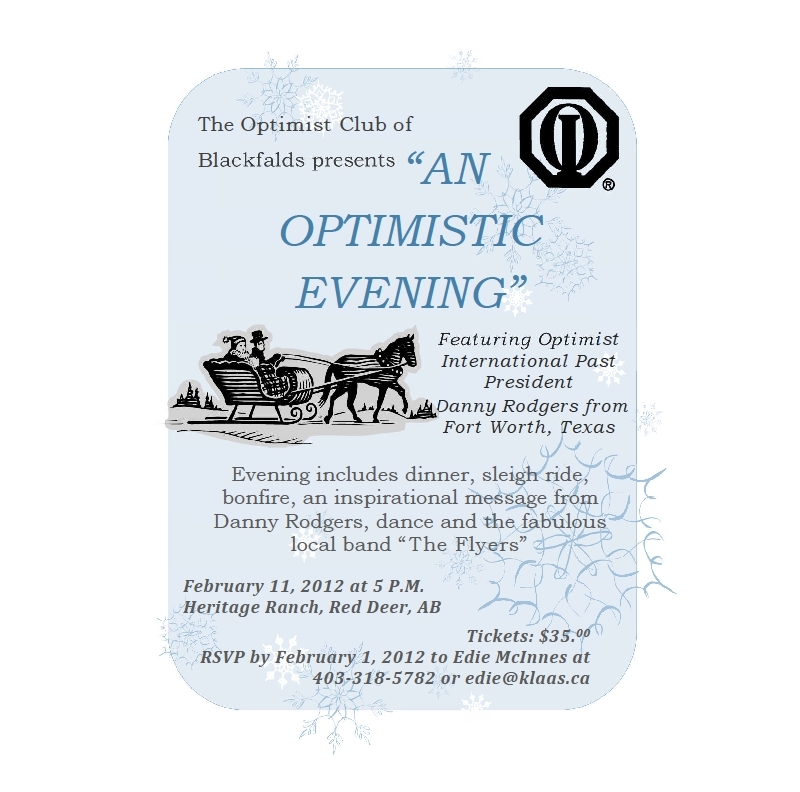 Our venue, in Red Deer, only holds 100 people so act fast so you don’t miss out. Also, please forward this on to all of your club members. Let’s show Danny what a wonderful district we are!